I started by googling recipes, and came across an easy Egg Enriched Recipe that I had all the Ingredients for, but it looked plain in the bucket, so before I pushed start, I added 2 scoops of some Herbs de Provence I picked up while in Seattle, and 1/2 a teaspoon for vanilla extract. TA-dah!!! 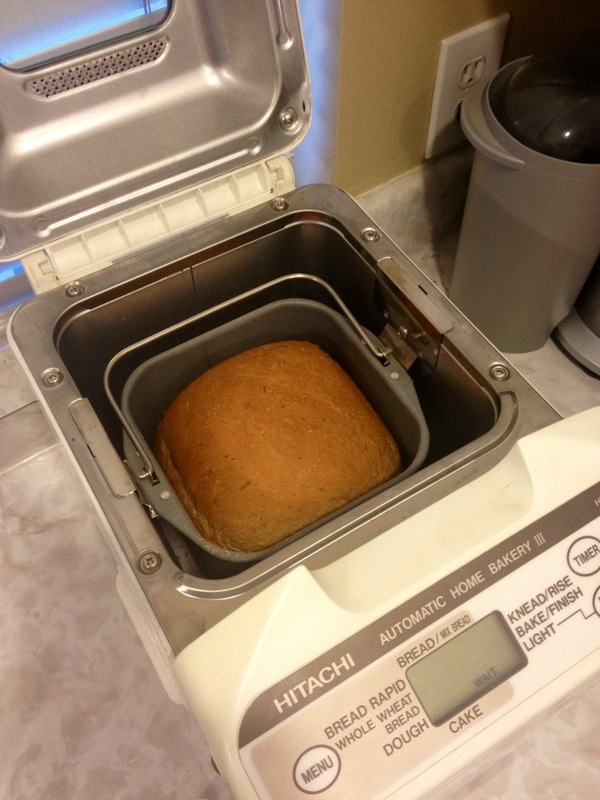 Custom bread in 3 hours if you set it to rapid bread. It was rich, but fluffy. The house smelled wonderful! *i subbed out regular butter for Smart balance spreadable with Canola Oil. 40% less saturated fat! The recipe said to put the flour before sugar and salt, but a comment from a bakers daughter said it effects the rise of the bread if you do that, so add them in the order I wrote, salt and sugar with the water, away from the yeast. Just throw the ingredients in order! Before you put the yeast, carve a bowl shape in the flour. Then pour in the yeast. After that, I just added the butter chucks around the border of the pan, and clicked start. 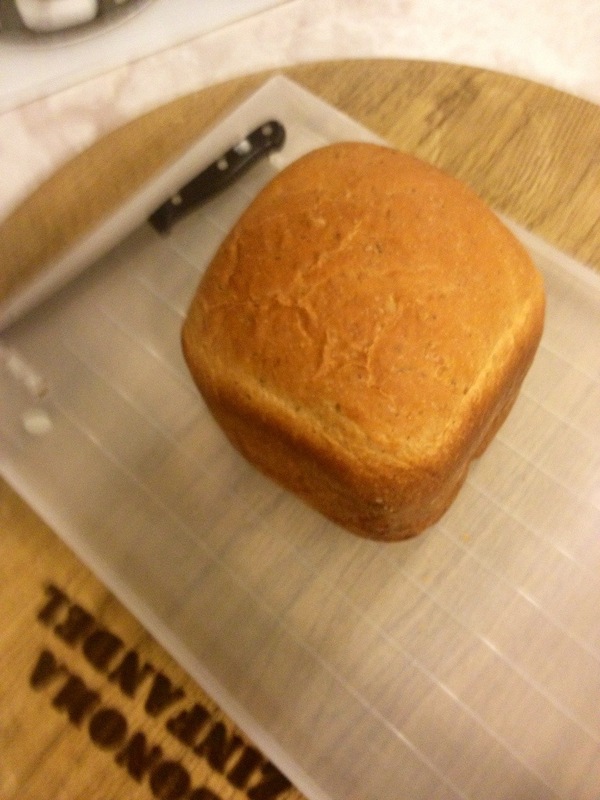 3 hours later… Bread!!! 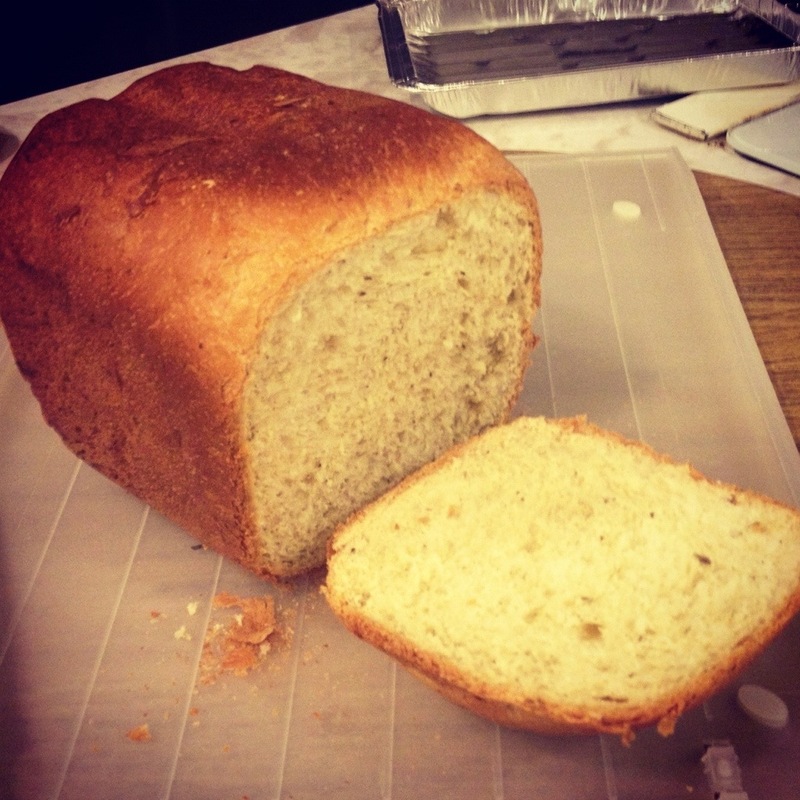 This is a great recipe served warm with a salad… You’ve gotta try it! 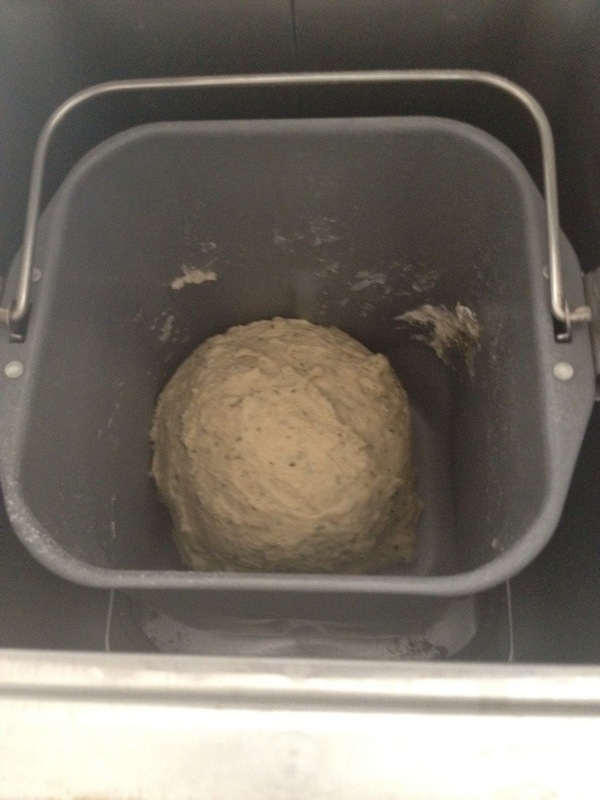 If you don’t have the machine, knead the dough with your hands, and let rise for 2 hours before you bake it at 350 for 25-30 minutes until the crust browns to your preference. Looks like you’re keeping busy over there too! Seasons are starting!!! Sure am…so ready for the summer doldrums to end and get going with football and cooler weather! How is your brother doing up in Canada? Same here! He is doing well. Hard adjusting to the new life without a home base, but he is still in the top standings and looking forward to a big win in the upcoming tournaments:) Thanks for asking! Of course…glad to hear he’s still doing well.